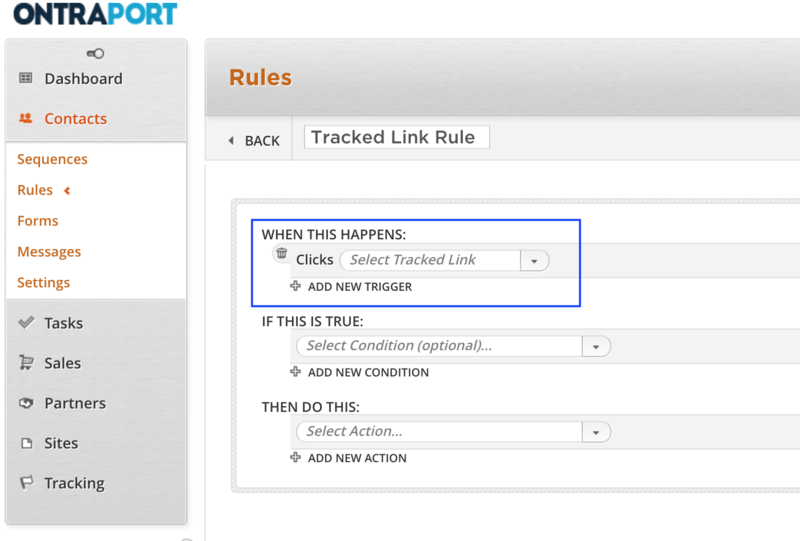 If you’re an ONTRAPORT user and you don’t use Tracked Links, you’re missing a big opportunity to save time! A while ago I saw a question in the ONTRAPORT User Community group on Facebook that made me realized how little is known of tracked links. This company had a problem with a bad link that was placed in over 80 email messages. And they had to change it. Manually. The only reason for that was that they didn’t use a tracked link in the first place. But we’ve all been there. What are ONTRAPORT tracked links? 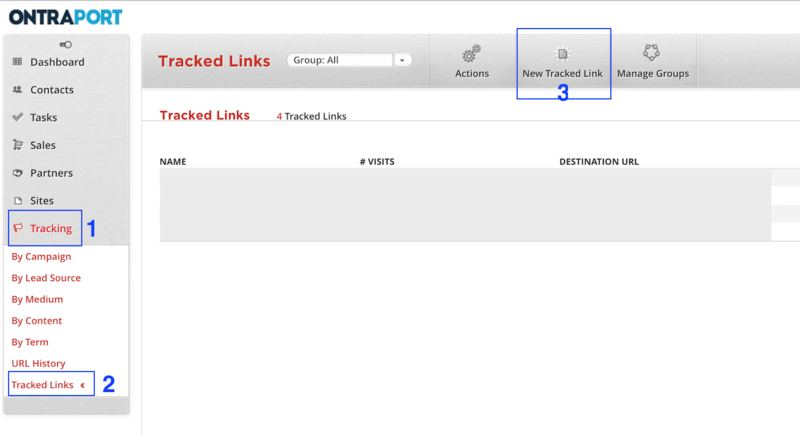 A tracked link is like a pretty link, short link, 301 redirect – all in one. It’s a redirect link that is being tracked by the system the same way any link in any email is tracked – by a redirect. The magic is that you can change the destination URL as often as you want. And the tracked link stay the same. A note: When you rely on ONTRAPORT Tracked links, keep in mind that it might take up to 15 minutes for the system to detect the click. So don’t set automation rules that you expect (and need to) fire ASAP. Find another way to do those. How to create a tracked link? Where can you use Tracked links? Those links can be so valuable for saving time or completing specific actions in the system with one click. A rule of thumb is to create a tracked link if you plan to use the same link in more than 1-2 email messages. This will save you from experiencing the same problem as the one described in the beginning of this post. What’s specific to all of them is that you need a Global rule to have the action-based result. But that’s easy to set up too! We all have them and I like keeping my database clean and active. When you send the re-engagement emails, place a tracked link that leads to a Thank-you-for-keeping-in-touch page. Link it to a button that asks people to confirm they still want to hear from you. Create a Global rule. You’re done! Your contacts might be interested in a new content theme you’re producing. Ask them and have them click on a tracked link if they want to be emailed with the updates. I added the segmentation here too, because if someone is interested in a type of content (or completes a set of predefined actions), then that person belongs to a segment in your database. Use it wisely. Same as above but works the other way around. You are hosting a promotion – but probably some of your clients will be bored with it and might hit the Unsubscribe button. Allow them to manage their preferences with one simple click – they say “I don’t want to receive info regarding this campaigns” and you take them off the list. All is automated! When you ask people if they want additional information regarding an offer, a product or just your services, they can click on the link to confirm they do. Then a new email is triggered to be sent to them. Either via a sequence or just as a once-off email. Simple and effective. You might have heard of the LeadLinks by LeadPages? This is the same but better. Better, because you don’t need to create an optin form. All you need is a Global Rule that says: “When Contact clicks on Tracked Link XYZ, ping URL” and ping Gotowebinar. Or add the contact to a sequence that takes care of the registrations. Some businesses use external services to track some user interest and interactions. If you have a Slack channel for your sales team, maybe you want each contact that does something (like clicking on a link to request a call or a demo), to be feeded into that channel. Or you want to issue a quote from your invoicing software. Those are just the most common uses of Tracked links. Their versatility make them perfect for so many different things that there is no limit to using them. And as you don’t have a limit to the number of tracked links, it will be a waste of potential not to implement them in your automation strategy.